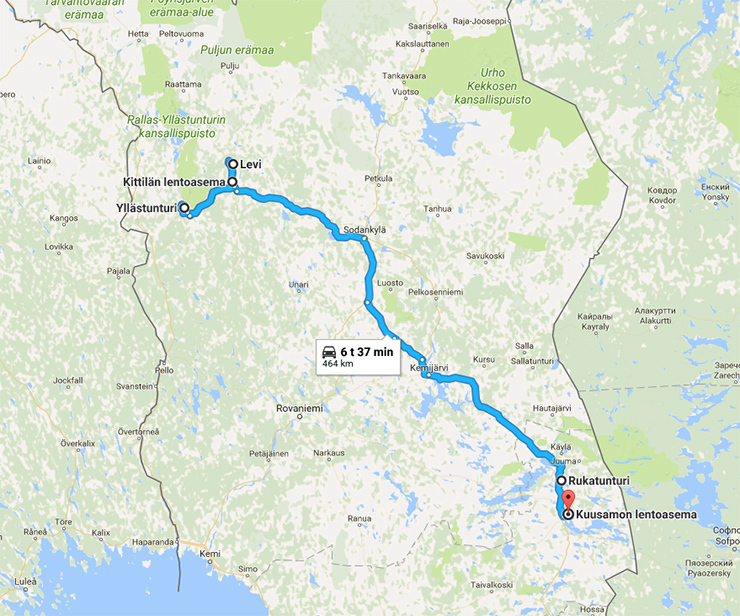 Gofinland Blog - All about how to travel to Finland, how to get around, and what to see and what to do. Despite the modern times we live in, Christmas in Finland is all about traditions that have been passed down through generations. Unlike most Christian countries where Christmas Day, December 25th, is the primary day of the Christmas celebrations, Finnish families traditionally gather together for festivities on Christmas Eve, December 24th. It’s also the day when the most famous person living in Finland, Santa Claus, visits well-behaved Finnish children with his sleigh full of Christmas presents. 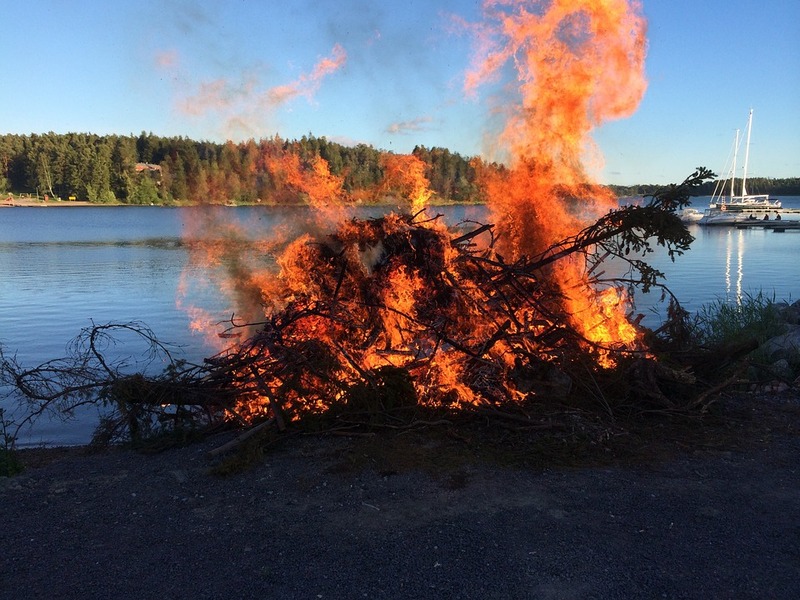 What else happens in Finnish homes on Christmas Eve each year? Let’s take a little sneak peek into a traditional Christmas in Finland. Setting the Christmas spirit begins earlier each year. 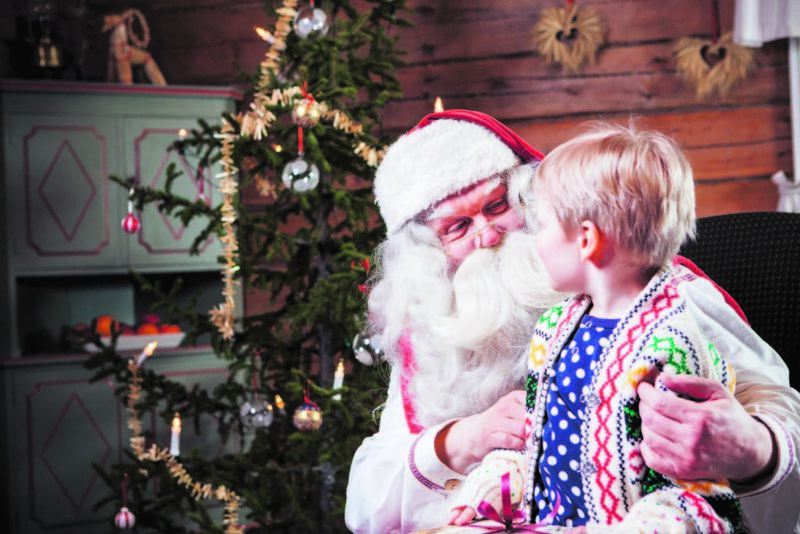 Christmas carols take over shop aisles, Christmas lights illuminate the darkening streets, millions of Christmas cards are sent to friends and family members, Christmas Markets are held, and sing-along Christmas concerts are organised all over Finland. Soon the approaching holiday season is visible in Finnish homes, too; colourful Christmas lights illuminate the gardens together with candles and ice lanterns, and the houses will be decorated with Santa’s Elves, reindeers, wreaths and Finns’ favourite Christmas flowers, poinsettia and hyacinth. With the delicious smell of gingerbread cookies and Christmas tarts floating in the air, Christmas Eve can finally arrive. Bringing in and decorating the Christmas tree is one of the oldest Finnish Christmas traditions that has remained almost unchanged since the 1800s. This year approximately 1,5 million Christmas trees will adorn Finnish households all over the country. For many Finnish families decorating the Christmas tree is the first thing to do in the morning of Christmas Eve as an official beginning of the best day of the year (especially if you ask children). The Christmas tree is often placed in front of a window to spread joy and Christmas spirit also among the people passing by. Enjoying a hot bowl of Christmas porridge – but who will find the almond? 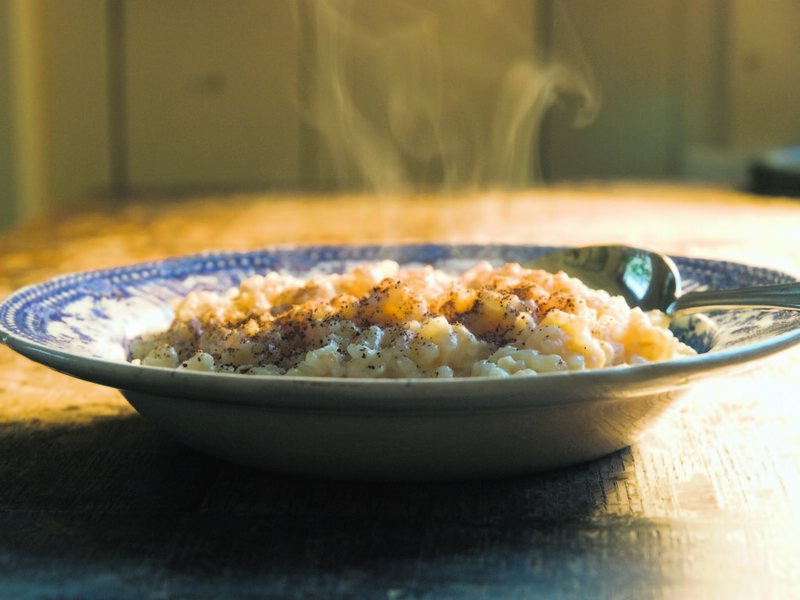 Another Finnish Christmas tradition dating back to the 1800s is Christmas porridge, traditionally made of rice and milk. Typically Christmas porridge is served with sugar, cinnamon and milk but can also be enjoyed with prunes, apricots or cloudberries. This traditional Christmas Eve breakfast includes one special ingredient: an almond. According to the tradition, good luck will follow the person finding the almond on their plate. At noon on Christmas Eve, the whole of Finland freezes when Christmas Peace is declared in several Finnish cities. The most popular and well-known event takes place at the Old Great Square in Turku where thousands of Finns gather to listen to the declaration every year. The ones who can’t make it to the gathering may follow the live broadcast on television or radio. This is the moment when the whole of Finland truly gets peaceful; shops will close their doors, and even the public transport gets quieter. Some shops will be shut throughout Christmas Day and Boxing Day, which is good to remember when spending your first Christmas in Finland. 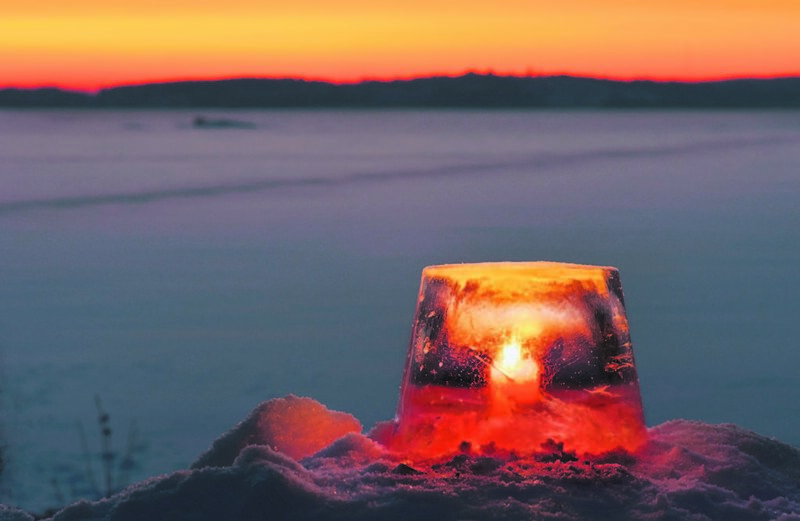 Another Finnish Christmas Eve tradition is to pay a visit to the graveyard and light candles on the graves of the past loved ones. At Christmas, all cemeteries from North to South are illuminated with thousands and thousands of candles. The stunning sea of candles in the dark December night is a sight not to miss. Christmas sauna is another ancient Christmas tradition Finns aren’t willing to forget. 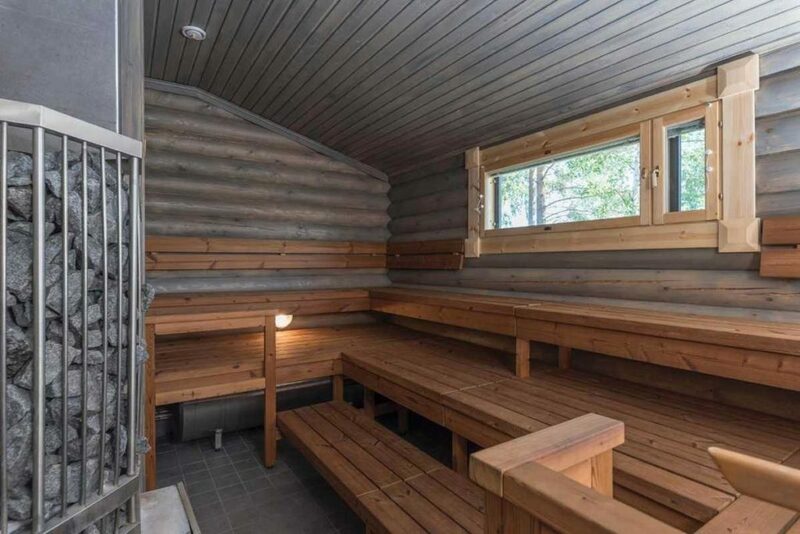 According to some studies, 80 per cent of all Finns go to the sauna on Christmas Eve. 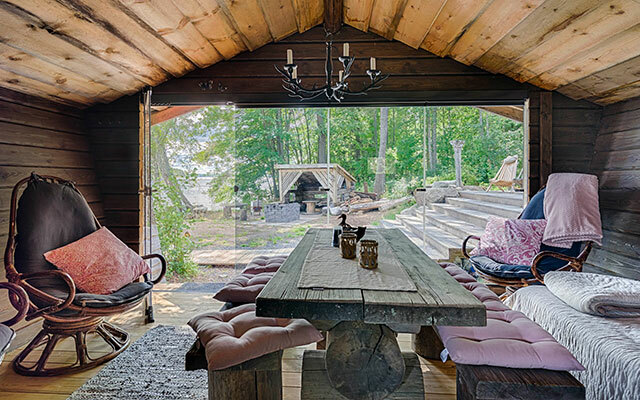 Some even state that the lack of Christmas Sauna might ruin the whole holiday. 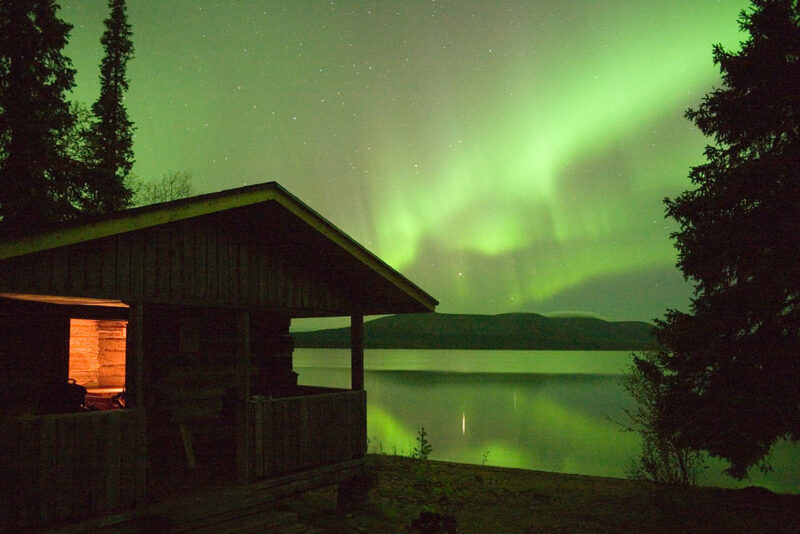 In some families, the sauna is heated up twice during the day; first before dinner and again late at night. After (the first) Christmas Sauna, it’s time for another Christmas Eve highlight; the dinner. Finns value traditional Christmas food with slowly-roasted ham being the king of the dinner table. Even if a vegetarian diet is becoming more and more popular, Finns still consume 6-7 million kilos of ham over Christmas. 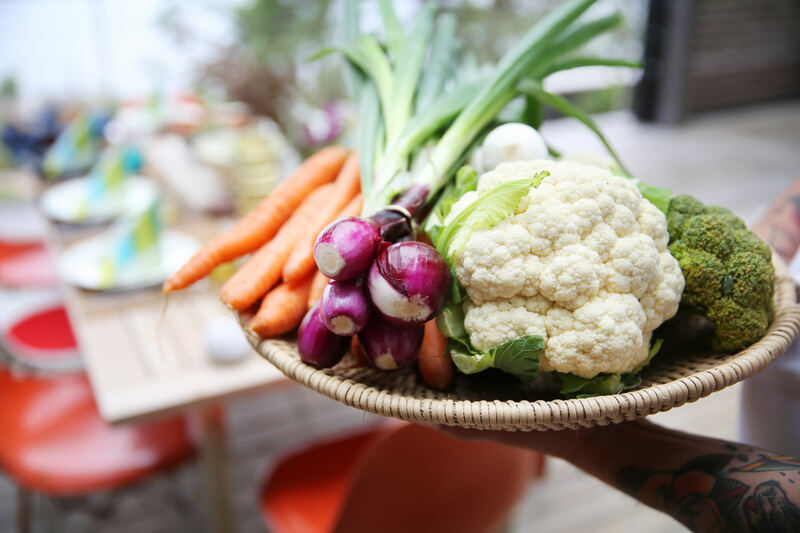 Besides the Christmas ham, also potatoes, casseroles, meatballs, fish and mixed beetroot salad are included in the traditional Christmas dinner – not to forget chocolate, Christmas pastries and gingerbread cookies, of course. Tummies full of Christmas treats, it’s finally time to gather around the fireplace, relax on the sofa and enjoy some glögi, a traditional hot Christmas drink similar to Mulled Wine. 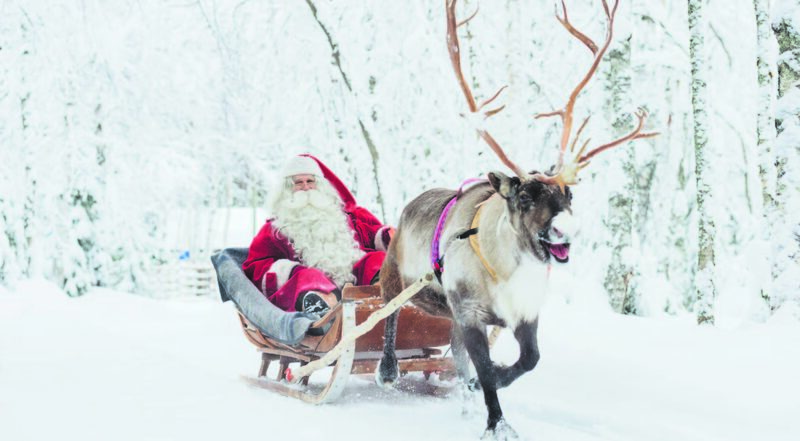 Who else could it be but Santa, the most awaited Christmas guest in all families worldwide and the one final highlight of a memorable Christmas in Finland. 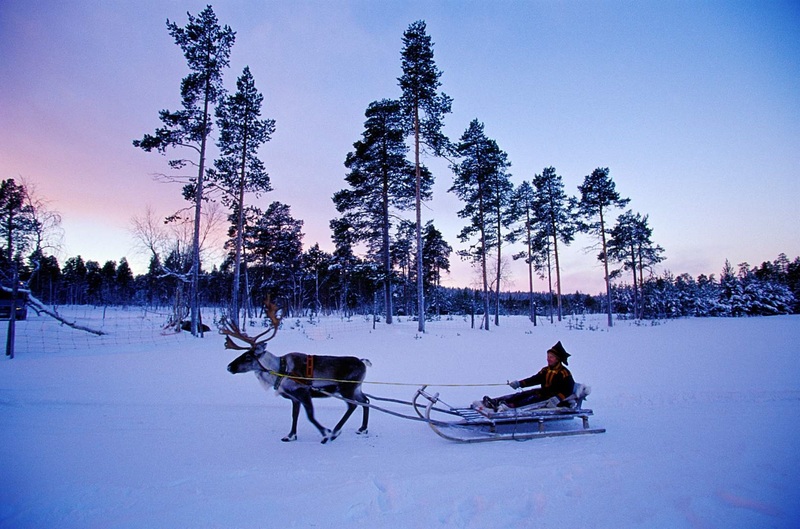 Did you know that more than 300,000 tourists travel to Finland in December? Find the perfect rental cottage on Gofinland and start planning your white Christmas in Finnish Lapland now. Dissatisfied with your everyday life? Move to Lapland! This is not the exact reasoning I followed in the moment I decided to leave the country I was living in, but it is the one that turned out to be true afterwards. At first, I just wanted to move away from my previous country to study abroad without any concrete idea in mind about where to go. I did not even know what to study. So I picked up my laptop and, being a person who cannot really sleep at night, within a couple of sleepless nights spent surfing the Internet in my electronic friend’s company, I found the right Degree Programme for me. Only after that I checked where the university offering that Programme actually was located. On the webpage it said “Rovaniemi”. It sounded familiar, but I couldn’t recall where from. I googled it and the first thing that appeared on my laptop’s screen was a picture of Santa waving at me. 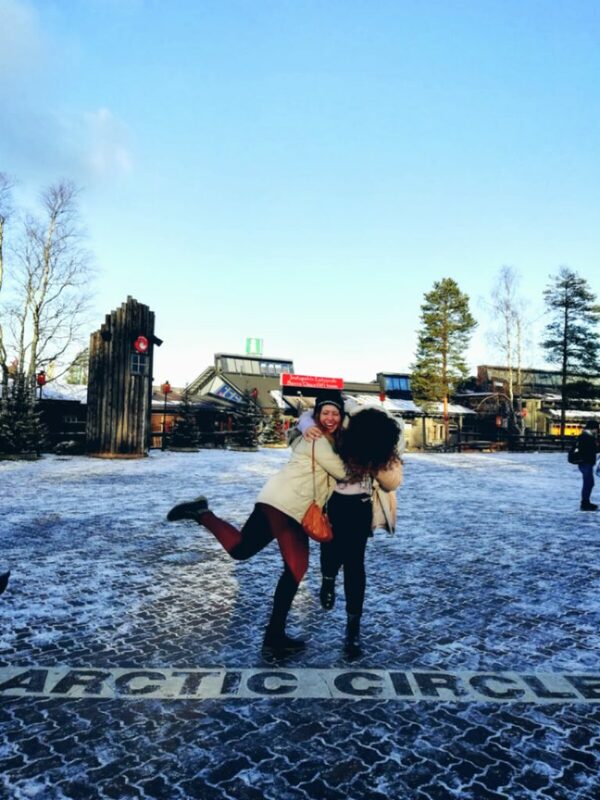 That was the moment I realised that I was going to apply to a university in Santa’s hometown and, being a winter and Christmas atmosphere lover, this fact only strengthened my wish to move to the administrative capital of Lapland. I applied to Lapland’s University of Applied Sciences, I did the entrance exam and after about two months I got the email I was most waiting for at that time: I got accepted to study in Rovaniemi. As soon as I landed in Rovaniemi, I felt at home. I felt so good, and my feelings after almost a year living here are still the same, that I don’t even really want to go back to my other home country because I would feel homesick from here. Life in Lapland proved to be amazing to me. There is no way of getting bored in here. There is always something to do and a lot to discover. 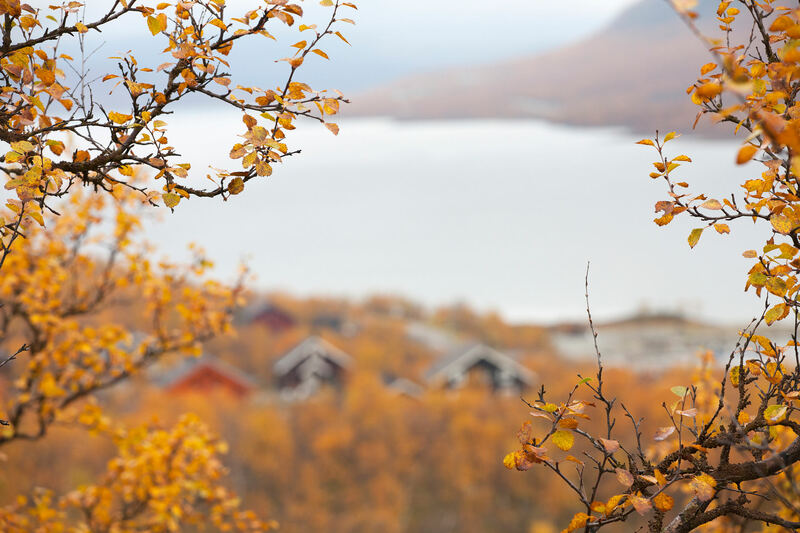 This is the region that has 8 seasons and as many reindeers as inhabitants, if not more. and the astonishing Midnight Sun in summer. This is the region of colours: white winter wonderland; bright red, yellow and orange with all of their nuances during Ruska in autumn; Northern Lights’ green, yellow, pink and purple shining in the darkness of winter nights; different shades of blue during the “blue moment” or “Kaamos” in the same period as Northern Lights; beaming sunlight in summer. This is the region of happiness to me. you can hunt Northern Lights or wait till midnight to see the sun approaching the horizon and rising again according to the season and so much more. 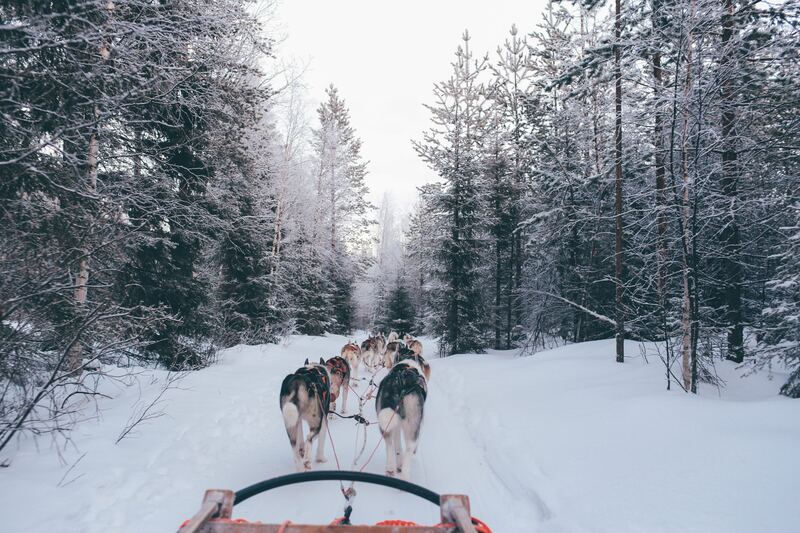 All of these incredible activities can be included in your everyday life when living in Lapland. Moreover, as I mentioned before, nights are not only meant for sleeping in here and they have an added value, thus enlarging the concept of everyday life also to “everynight” life. So, to everybody who wants to make a change in their lives and feel Above Ordinary: Lapland is waiting for you. Even if not for living, but just for enjoying a shorter stay with extraordinary everydays and exceptional experiences that will probably turn into lifelong memories, Lapland is ready to host you and to be discovered. This blog post has been written by another of two winners of our blog post competition. Gofinland organised a competition among the students of Lapland University of Applied Sciences. The students are studying tourism in international degree programme. In the future, they will be the professionals in International Tourism. 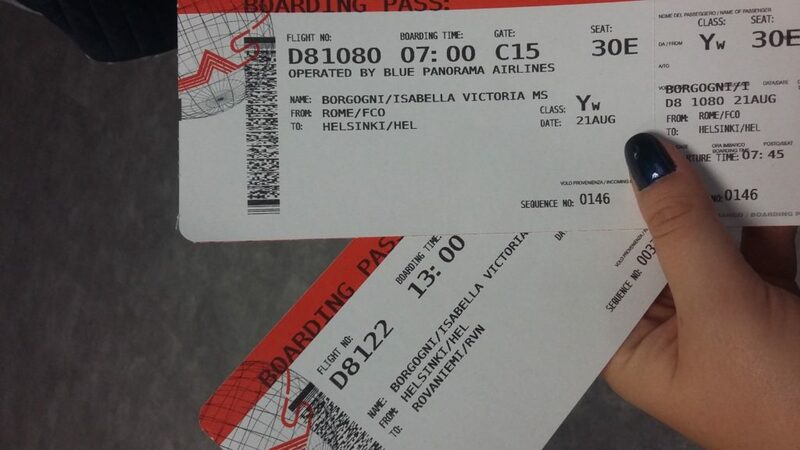 Isabella Victoria Borgogni is sharing her inspiring experience in Finland. Read also the blog post of another winner of our competition: Minh Hieu Nguyen wrote a great article about how hiking. Minh’s insight gives aid how to relax in nature and improve your wellbeing. This is the story of Minh, who has been living in Rovaniemi for almost 6 years. The blog post has been done in co-operation between Gofinland and Lapland University of Applied Sciences. Minh is one of the winners in our blog post competition which was organised within the Degree Programme in Tourism. The students are aiming for a Bachelor Degree education and they will be the future professionals in tourism. Read Minh’s story below! ”No one has ever become poor by giving” – Anne Frank. 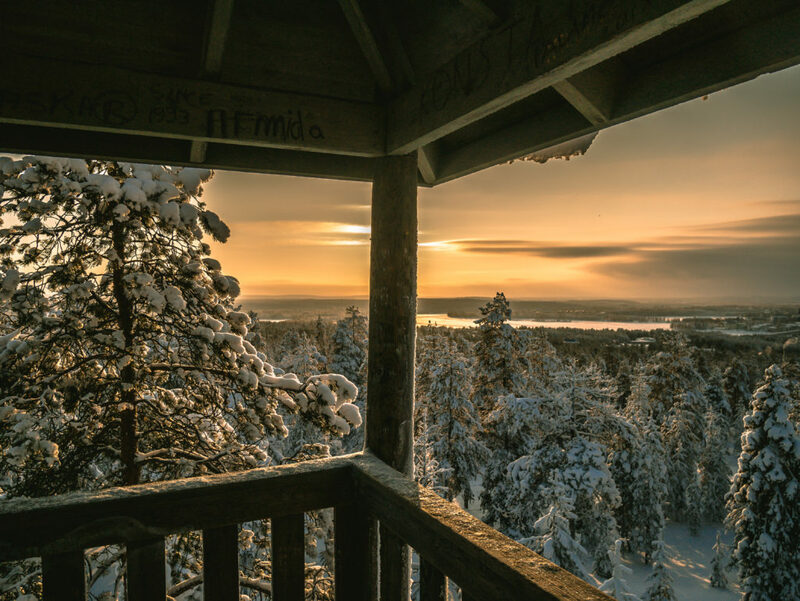 ”I have lived in Rovaniemi myself for almost 6 years now, and one thing that I love most about this place, is how amazing the winter sceneries can be. Every winter, the snow falls like crazy, the temperature drops down quicker than a dog running in the street and the nights are longer than the days. On a bad day, Rovaniemi could be cloudy and blue-y and snowy, but on a sunny day, it is another story. Watching the gorgeous landscape from a viewpoint. 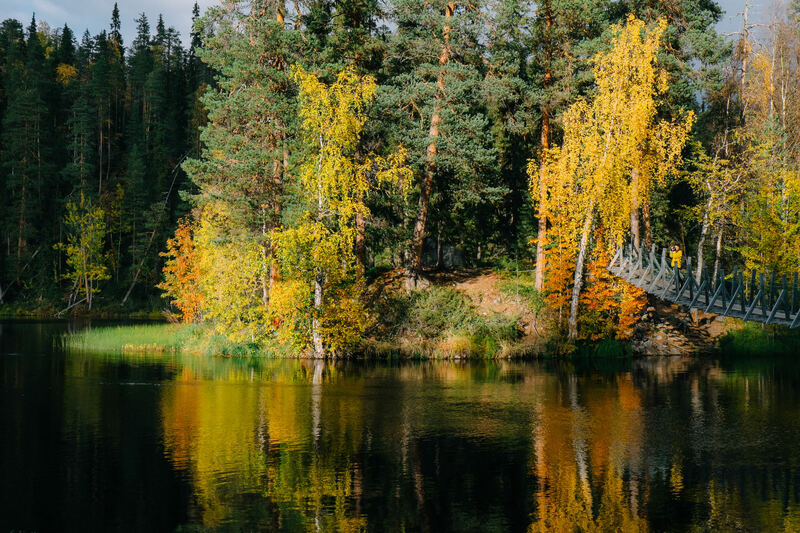 This scenery is just 2 kilometers from the center of Rovaniemi. Why to go hiking or enjoy the nature? Because the views are just priceless. 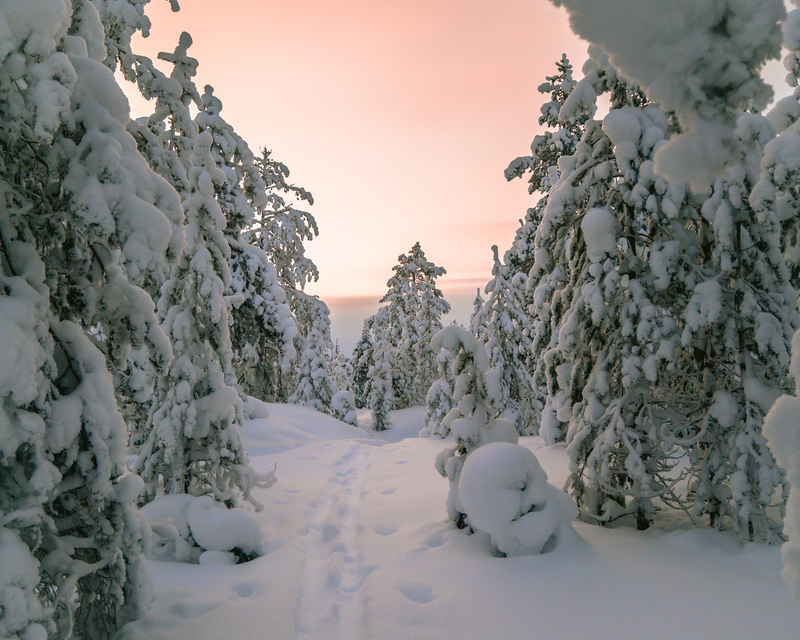 The Lappish scenery in Ylläs and Rovaniemi offer untouched nature. The untouched winter nature pays off the exhaust and tiresome, and at the end of the day, you can only be wowed by the nature in front of you, next to you, or behind you! So no matter how low the temperature can be, just get out and try! The hiking will keep you warm, but when you stop, the body will stop producing extra heat and you might get a bit chilly. Put many clothing layers below (The bottom layer should be the one to keep the warm, and the top layer is the one to keep you away from the wind). Don’t leave too much open skin especially during winter, as you will lose most of your body heat through the open skin. So remember to wear gloves, hats and scarfs! Bring some hot drinks (such as coffee or tea) and some easy food like chocolate bars or different kind of nuts for resting during the hike. If you are into photography, bring your camera of course. 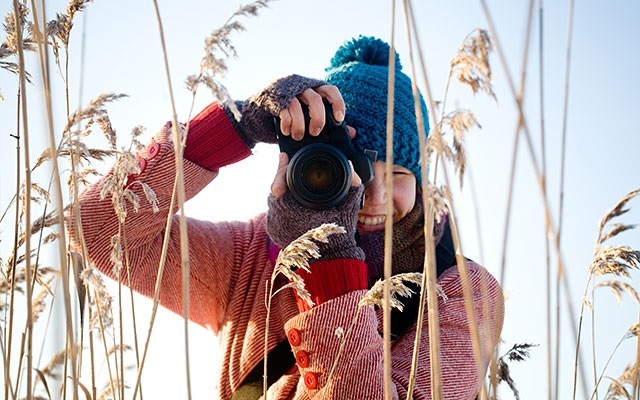 Remember to have extra battery, as the cold can make it quicker to shut down your camera. Finally, have the best attitude you can have! After all, you are hiking to enjoy and relax, not to get grumpy. Take some proper shoes (hiking shoes for longer trips/colder weather) and warm jacket or wool shirt for resting. When you stop walking and stop for a lunch, remember to put on some extra clothing! Always know where you are going. In Finland, it’s quite easy to get lost in the woods so remember to observe where you are going and preferably bring a map and a compass with you. If you’re going for a longer trip, remember to book you accommodation in advance! 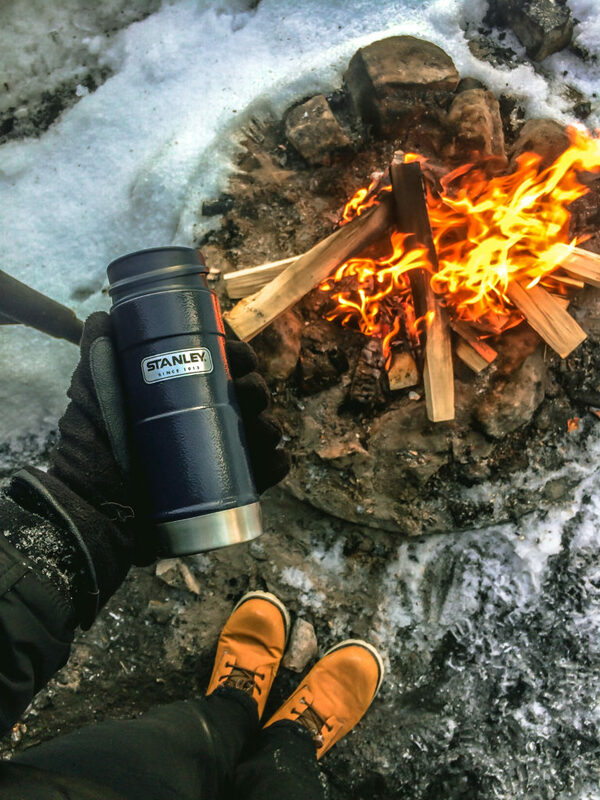 Warm drinks and warmth from the campfire – it keeps you going. Seeing snow for the first time in Rovaniemi! 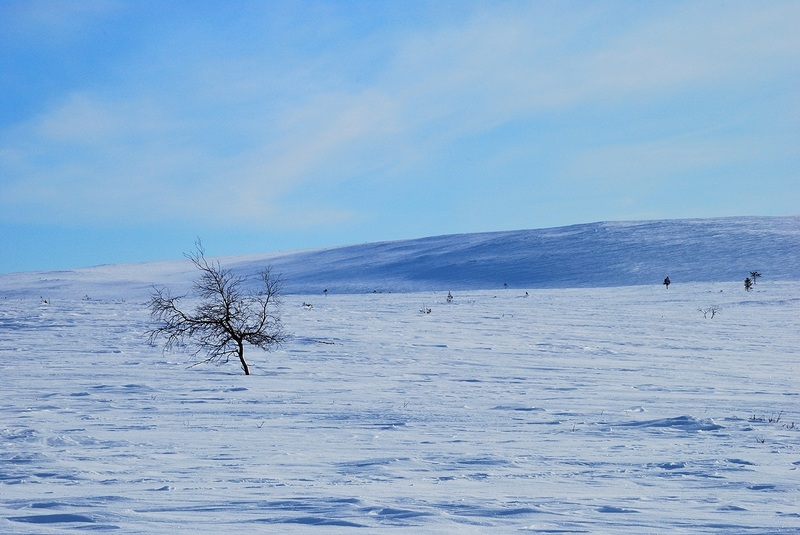 Mesmerized by nature and the amount of snow in Lapland. ”The hiking trails that I did wasn’t too challenging, as it was only for small hiking walk. But challenging or not, getting myself into the nature was refreshing. 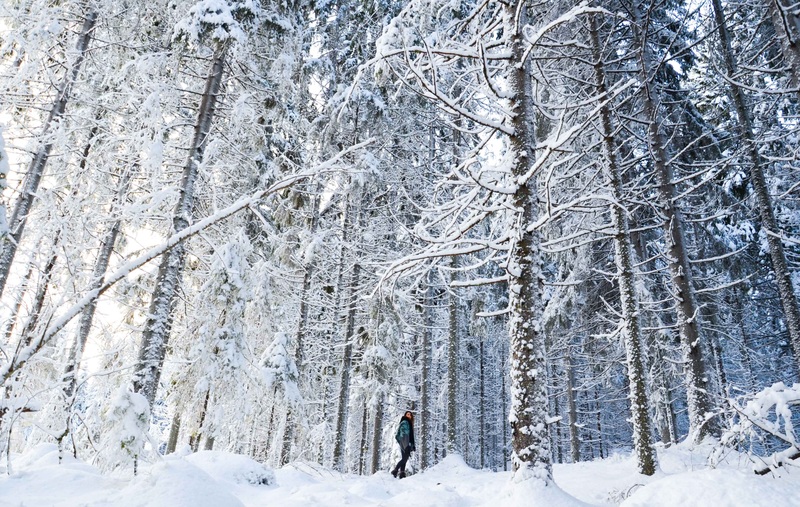 I remember so vividly that feeling, when I was in the middle of the forest, completely alone, with only the sound of my foot steeping in the snow. The feeling was euphoric. My head was lifted off from all the stress. For the first time of this season, I had the time to truly enjoy the winter the way it was. No other people around me, no computer or ringing phone nor sound from the cars. There was me, standing, mingling into the nature and catching my breath. Warming up before heading out again! 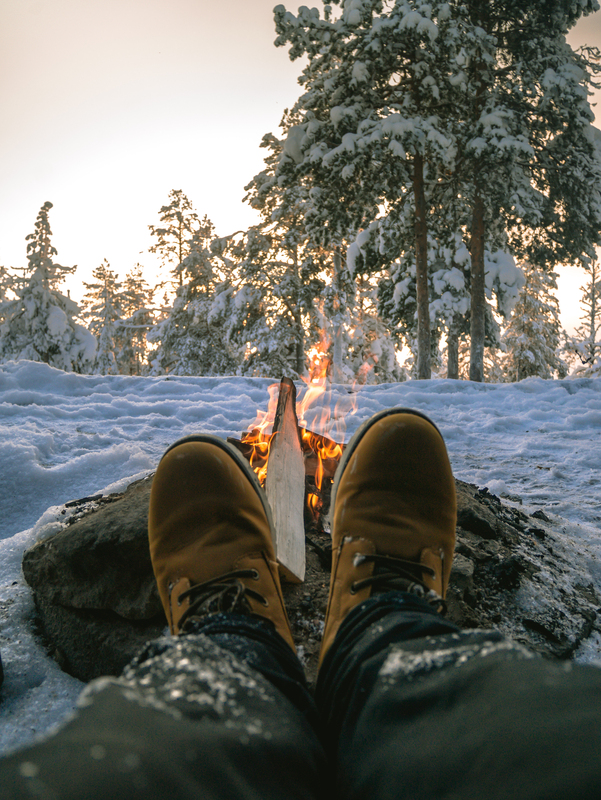 Campfire always captivates and offers warmth for weary trekkers. This blog post has been written by the winner of our blog post competition. Gofinland organised a competition among the students of Lapland University of Applied Sciences. The students are studying tourism in international degree programme. In the future, they will be the professionals in International Tourism. You can read our second post later in March from Isabella Borgogni. She is sharing her inspiring experience in Finland. Our winner, Minh Hieu Nguyen wrote a great article about how hiking. 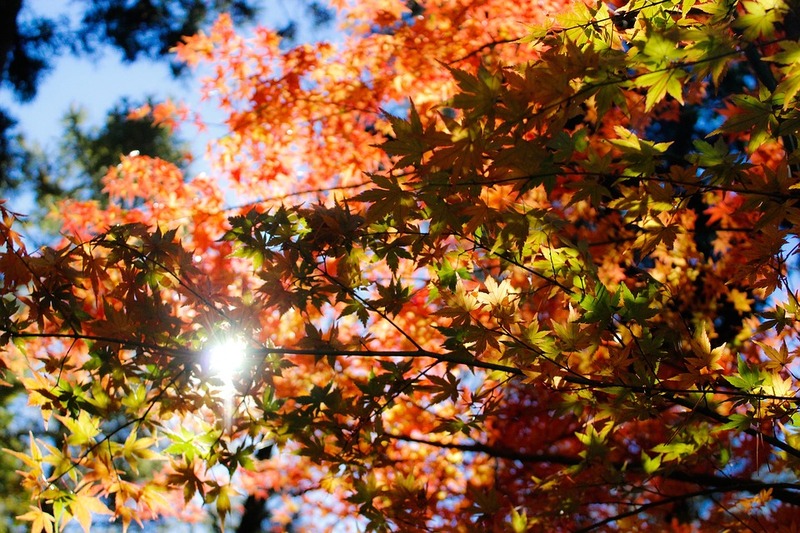 Minh’s insight gives aid how to relax in nature and improve your wellbeing. Finland is one of the prettiest countries in the world. It is known for the amount of contrast that you get to see in its landscape. It is here that you can see the four seasons in true earnest. It is at Finland that you would be able to see the Midnight Sun as well as the Northern Lights. 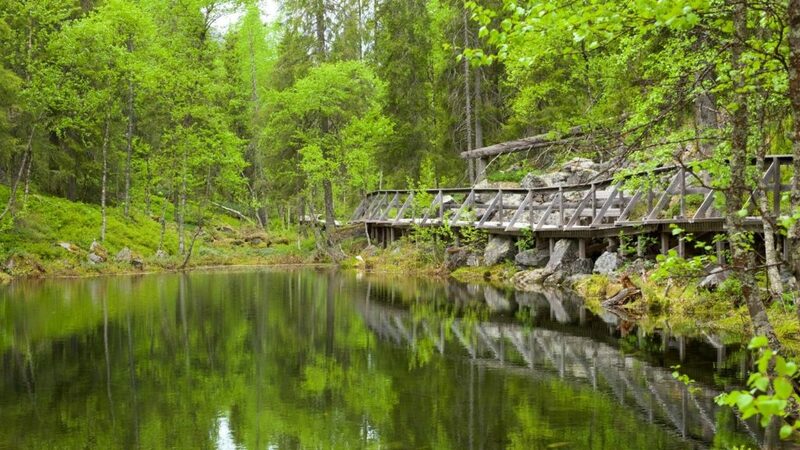 The first name that needs to be taken in this context is the Pyhä-Luosto National Park. These are basically rugged hills that have been there for a long time and they have been cut at various places by gorges that happen to be really deep. The best thing that you can do over here is trekking. You can easily walk to the top through these forests that have been there for an eternity and more. The top areas of this park do not have any trees and there is plenty of wind to contend with as well. 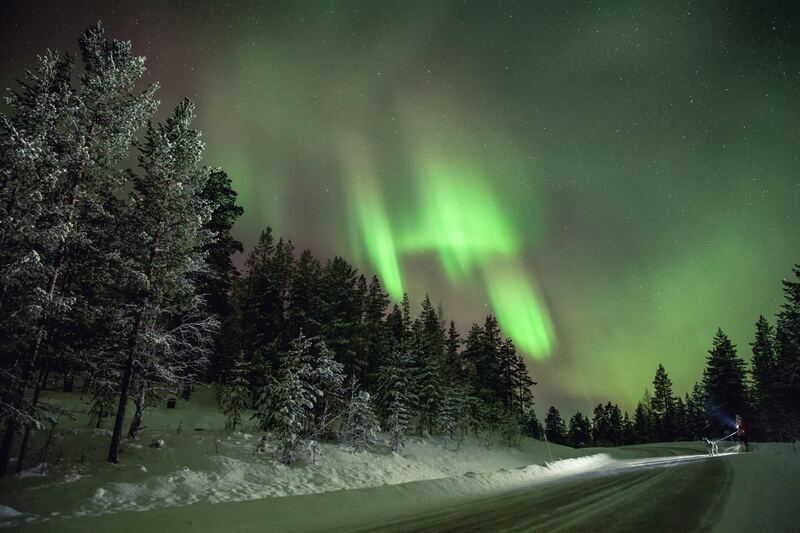 The skies here are vast as you would find elsewhere in Lapland. The scenery is especially breathtaking during both summer when you have the Midnight Sun, and winter when the skies are being lit up by the Northern Lights. You would also see some Siberian jays that are really friendly if you happened to stop for a picnic while hiking. 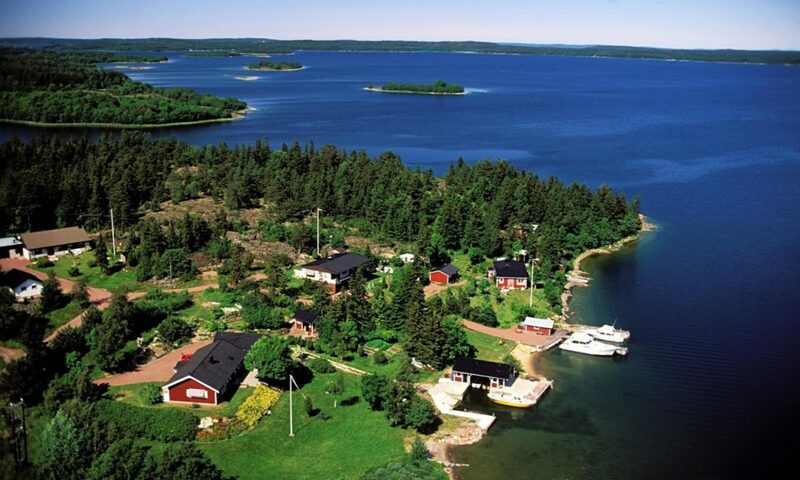 Aland happens to be the perfect weekend getaway if you happen to be in Finland. No matter who you are with this is the best place to have some great time. 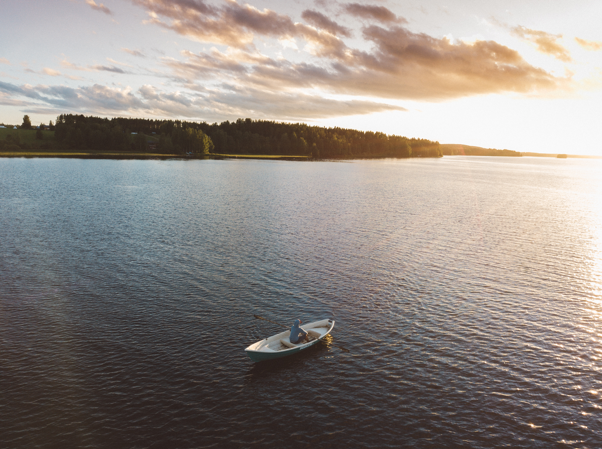 You can relax at the sauna, go hiking around the archipelago which is naturally inspiring, or just walk around and take in the sights and sounds over here. One of the various things that you should certainly do whilst you are at this place is to take part in one of the fishing trips. 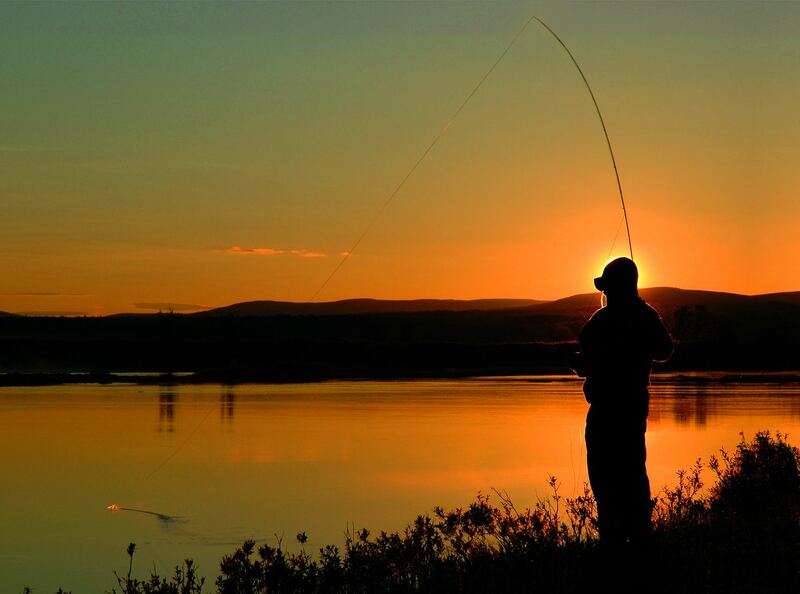 You can hire a local fishing guide for the purpose – this is one experience that is always going to stay with you. The food over here also happens to be exceptional. 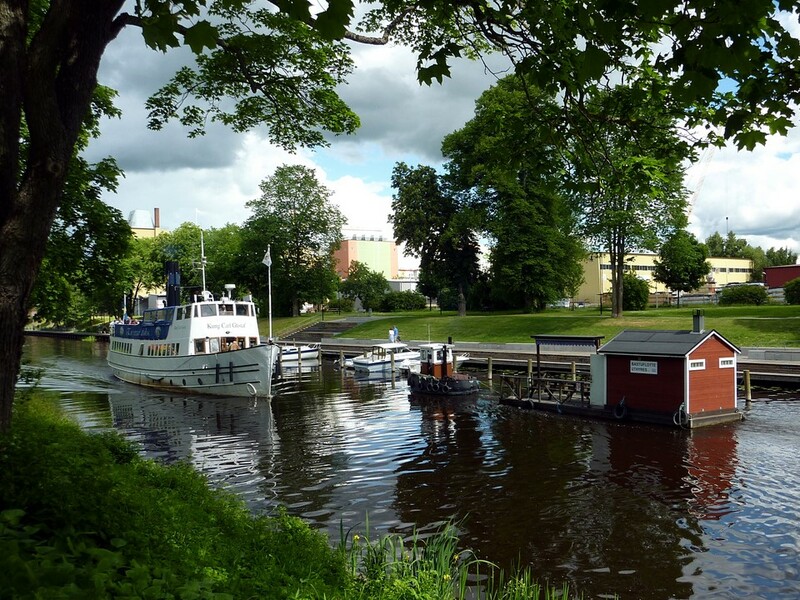 It is highly recommended that you visit the local Art Museum and Cultural History Museum, and the Aland Maritime Museum. If you are here you might catch hold of the Northern Lights as well as one of the many storms. Uto Island is located right in the southernmost part of the country and is the last inhabited island in that part of this archipelago. You can get there with the help of a free ferry that takes around five hours. 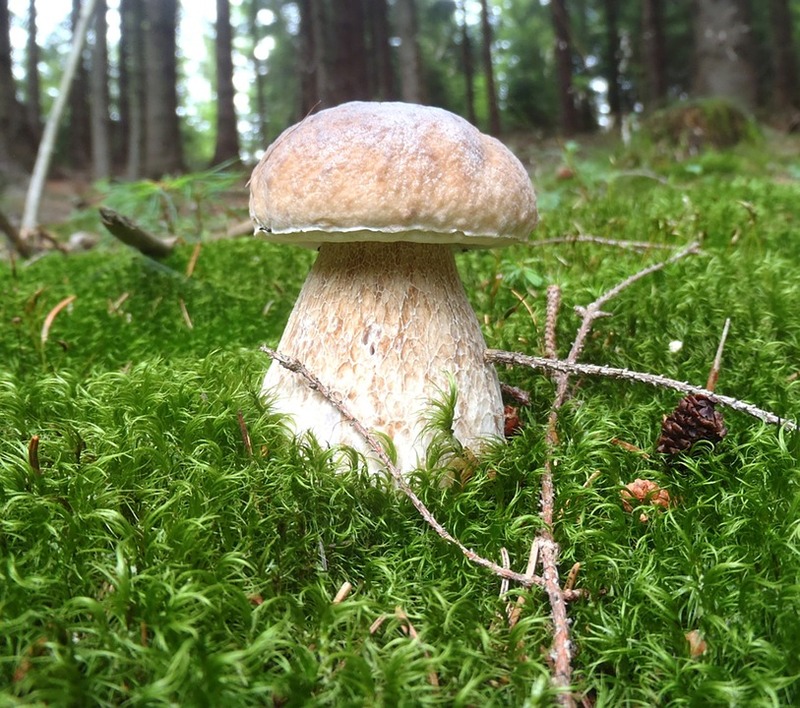 The island is small as such and is there right on the Baltic Sea. A lot of people visit it during the winter season – a time when it happens to be as cold as hell. 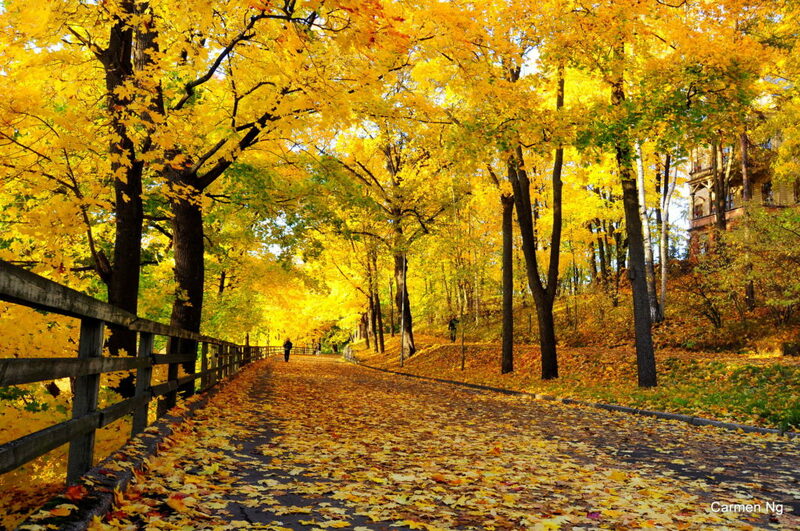 You can also visit it during spring and autumn where you would see many migratory birds. The island is a rocky one and occupies an area of just a square km. All around the year over here, you would not find more than 50 people on an average. There are normally around 150 people during the summer season. The island was vacated in 2005 by the Finnish armed forces. One of the various things that you can do in Pallas-Yllästunturi National Park is trekking. You can easily visit one hilltop from another this way. All the way you would be passing through Arctic fells. This also happens to be the finest hiking trail in the country. Apart from hiking, skiing is also one activity that you would really enjoy doing over here. 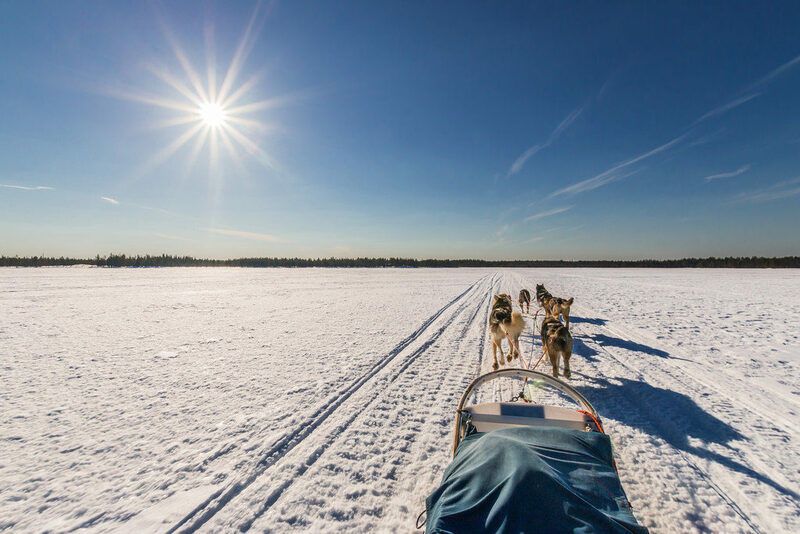 You can stay at the Lappish villages that have plenty of history apart from lodgings where you can haul up without compromising on your comfort. It also helps that they are really welcoming. 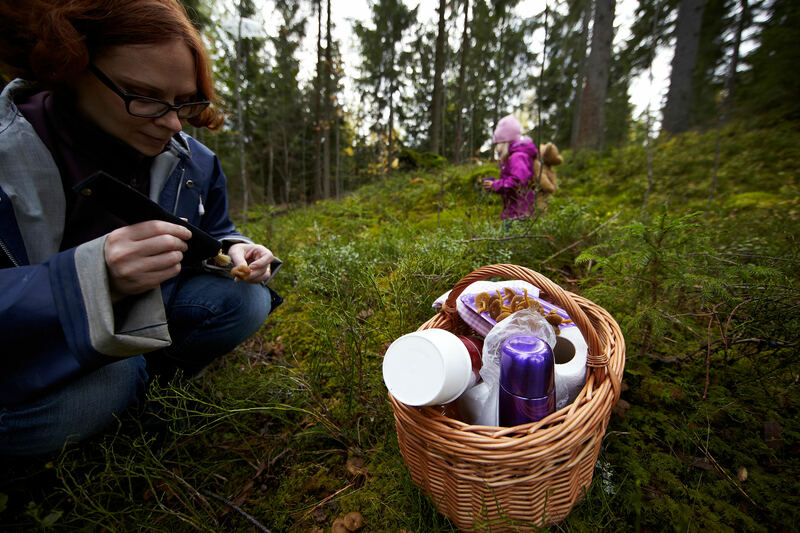 In fact, it is said that this part of Lapland has the best air in the whole world with regards to freshness. Once again this is a great place if you wish to see the Northern Lights. You can easily visit the national park by way of a car and other modes of public transportation. 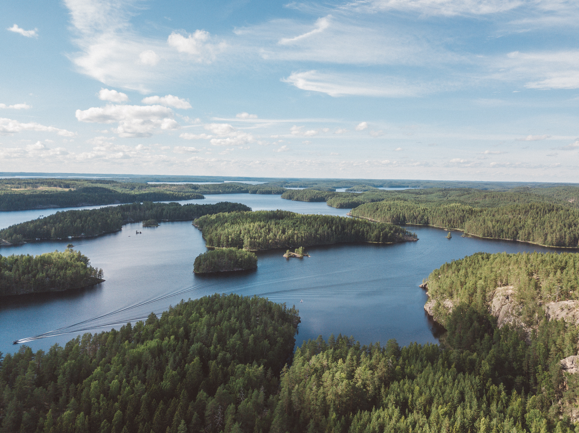 The Koli National Park is located in northern Karelia and as such is well known for its natural scenery that comprises hills covered in trees. 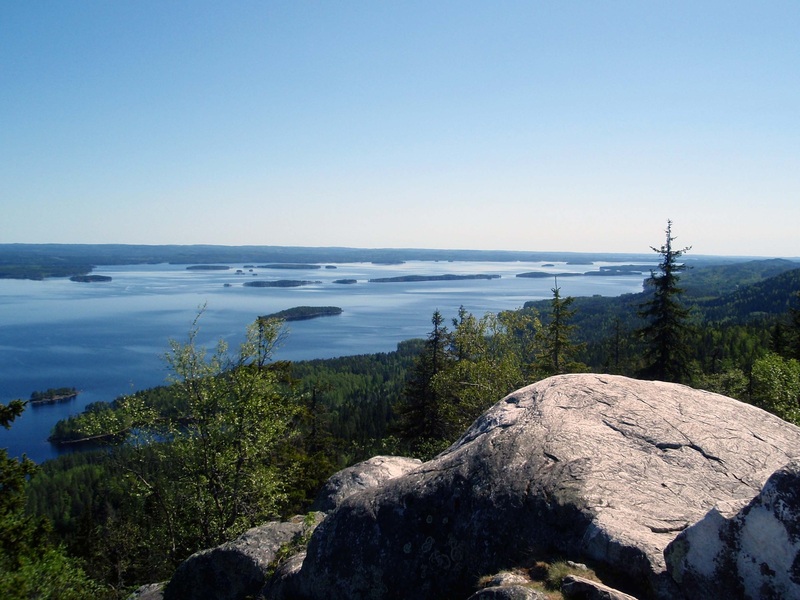 One of the best views that you can get from here is that of the Lake Pielinen from atop the Ukko-Koli Hill. This is one reason why over the years so many artists, nature lovers, and photographers from across the country have been attracted to the spot. The scenery is as splendid as they come and as such it fills you with a sense of serenity unlike anything else. You just feel a sense of wonder when you come here. In fact, the lakes and hills over here create such a setting that you would enjoy it no matter which time of the year you come over here. You can access this by car as well as public transportation. 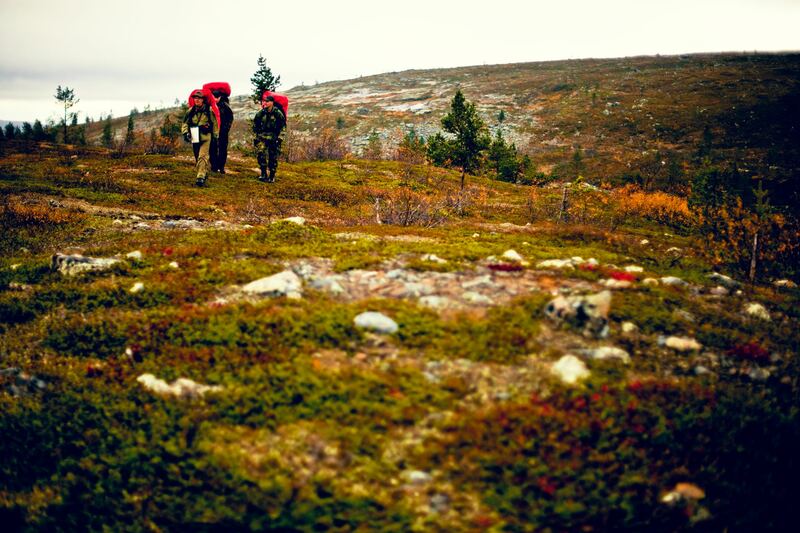 The national park is located at Kuusamo and happens to be one of the most popular members of its fraternity in the country. The national park is also known to have a commendable collection of falls and rapids. 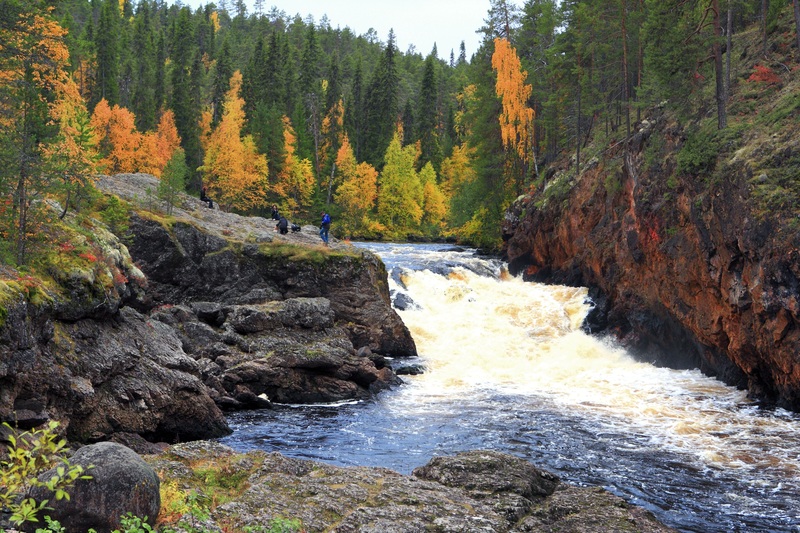 The most prominent name among these is the Kiutaköngas rapid that is located in the Oulanka River. The Jyrävä fall and the Myllykoski fall at the Kitka River are worth mentioning in this context as well. The national park itself is part of the Karhunkierros trail, which is known for its rough terrain. There are plenty of choices if you wish to go trailing over here – the hanging bridges only add to the charm of the entire region as such. In fact, the waterfalls over here are said to be among the most impressive of their kind in the entire country. There is plenty over here for the nature photographers. Some other options that may be mentioned in this regard are a village named Saramo, Riisitunturi National Park, Repovesi National Park, and Kilpisjärvi, where the borders of Finland meet those of Norway and Sweden. What Do Foreigners Think About Finland and Finns? 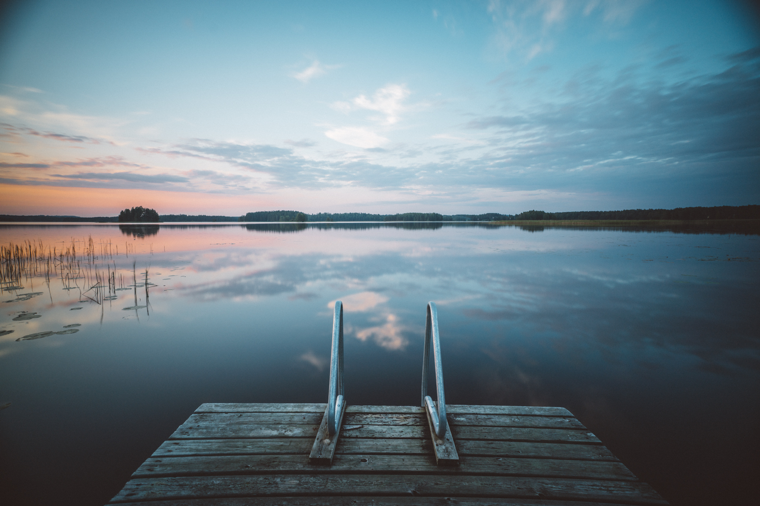 You are considering booking a trip to Finland but aren’t sure what to expect. Do all Finns have blonde hair and blue eyes? Are Finns as nice as everyone says they are? 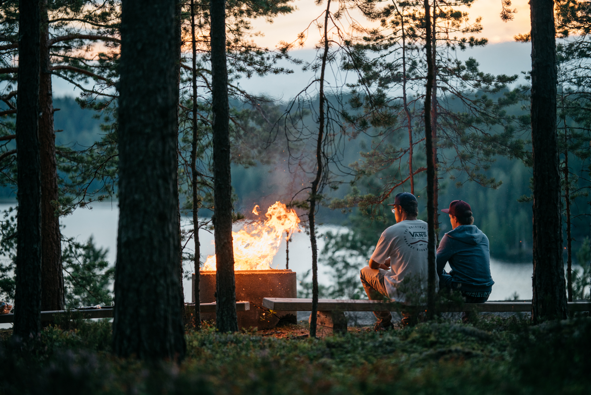 In this article, you’ll learn how foreigners view Finns (and how true their perceptions really are). Read on to find out what’s true and what’s false! The truth is, this is not the case. Finnish-born actress, director, and writer, Pihla Viitala is living proof, having brown hair and brown eyes. Actor and writer, Juho Milonoff is also another Finnish celebrity that goes against this stereotype. So, when you are walking through Helsinki, don’t be surprised to see Finns with blonde hair and blues eyes…and those with brown, red, and black hair and hazel, brown, and green eyes. Contrary to popular belief, global technology company, Nokia, is not Japanese. Given that this article is about all that is Finland, yes, it is in fact a Finnish company. Or was until the year 2016. What may be also surprising is that Nokia started out in 1865 as a paper mill company. As the years passed, it diversified to include not just paper products but mobile devices, rubber boots, tires, telecommunications, infrastructure equipment, and more. 3. Finland… What’s That Again? This is not a clear-cut answer. It really depends who you ask…Finns included. Some state that Sweden, Norway, and Denmark only make up Scandinavia. Others will throw Finland in. So, the answer is really up to debate. We hear a lot about how perfect Northern Europe is, with parenting, teaching—progressiveness in general—being attributed to our European friends in the North. 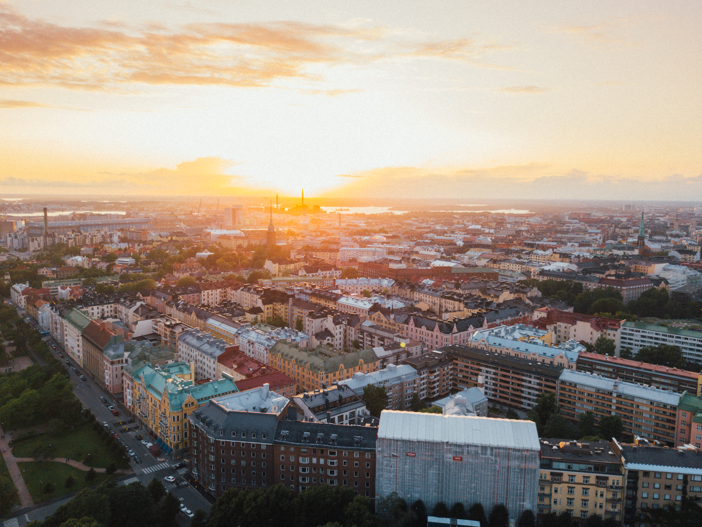 While Finns take teaching seriously and is ranked as the fifth happiest country, it does have some imperfections. According to National Geographic, while Finns drink less than the average European, they are big binge drinkers. In fact, National Geographic goes on to state that alcohol is the leading cause of death for Finnish men. That and when Finns do drink to excess, they can get mad, which can lead to violence. Yes, there is some truth to this stereotype; According to Quartz, in 1989, the Santa Claus Land Association was formed—which includes Finland’s 16 largest companies. The main purpose of this association is to market all things Santa Claus. So, there is a reason why you hear much about Santa Claus in Finland. 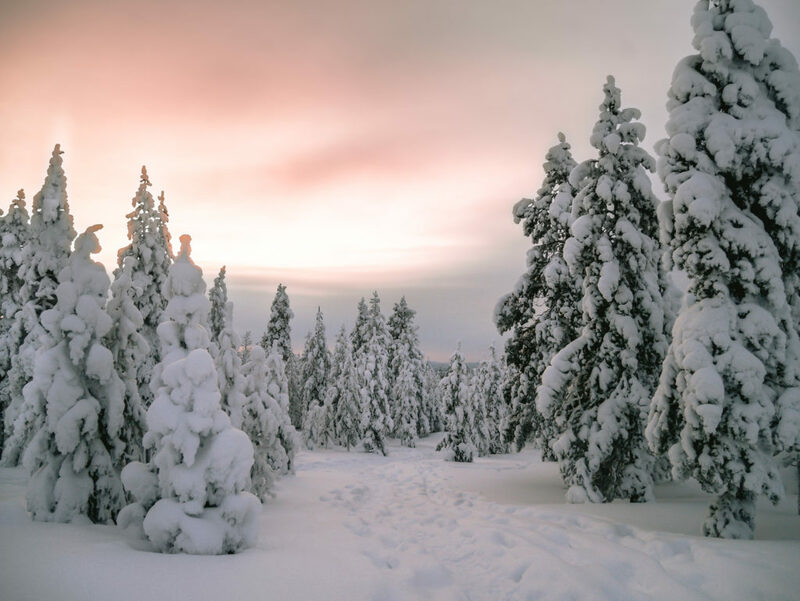 In 1927, radio broadcaster, “Uncle Markus” (who is Finnish) claimed that Santa’s workshop was said to be found in Korvatunturi, which is a part of Lapland—a province in Finland. Now, Lapland is known as home to the “real Santa Claus. 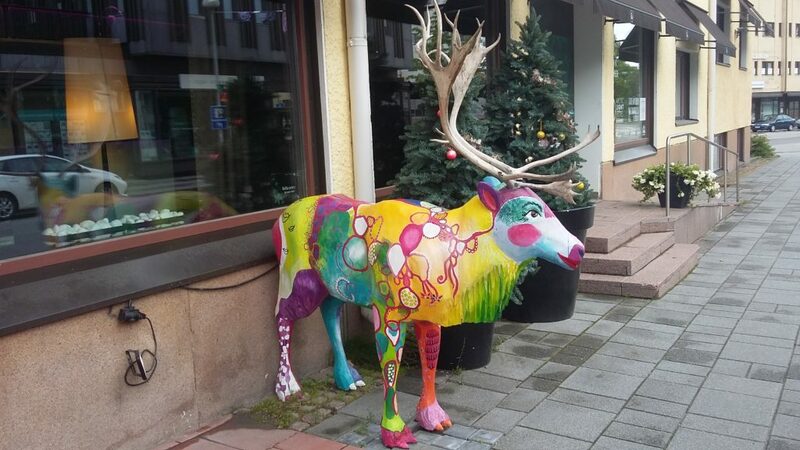 Nonetheless, there is much more to Finland—such as visit Kiasma and Market Square—than St. Nick. Just like any other country you travel to, there will be people who are friendly and others who are standoffish, nice and mean, loud and quiet. Be sure to enjoy Finland. Happy and safe travels! What else have you heard about Finland? 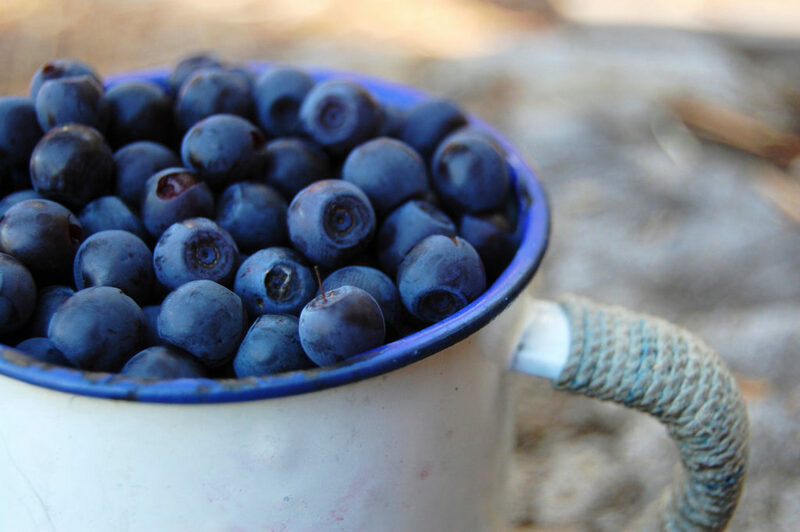 Do you agree with what foreigners think about Finland? Leave a comment. The writer Wendy Dessler is a super-connector with Outreachmama who helps businesses find their audience online through outreach, partnerships, and networking. She frequently writes about the latest advancements in digital marketing and focuses her efforts on developing customized blogger outreach plans depending on the industry and competition. 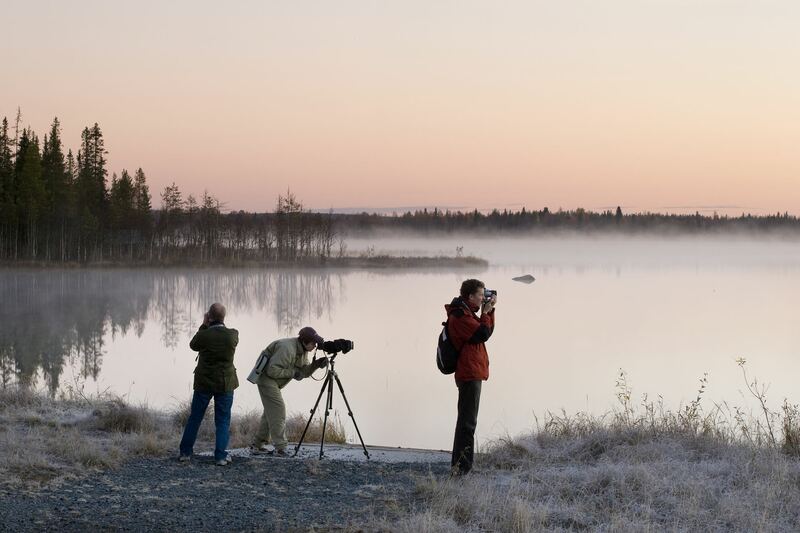 Do you want to spend a holiday in Finnish Lapland, but don’t know which would be the best destination for your needs? 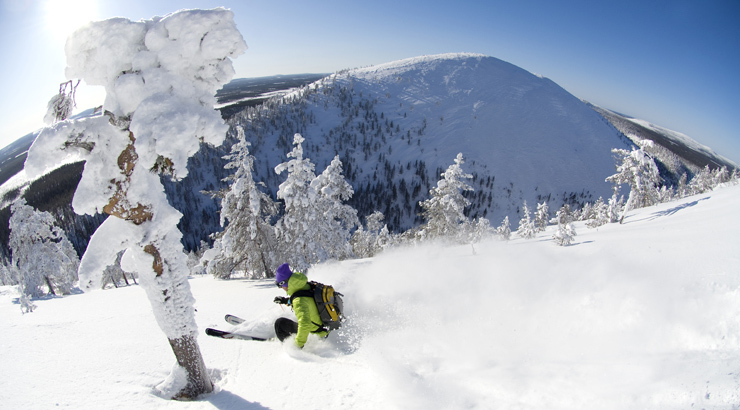 Don’t worry – it is possible to see the most popular ski resorts in Finland during the same holiday! 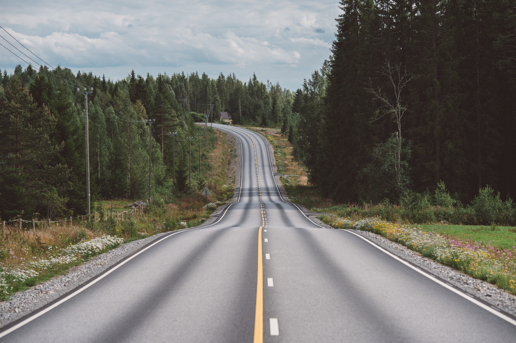 This article gives you valuable tips for an arctic road trip in Finland! 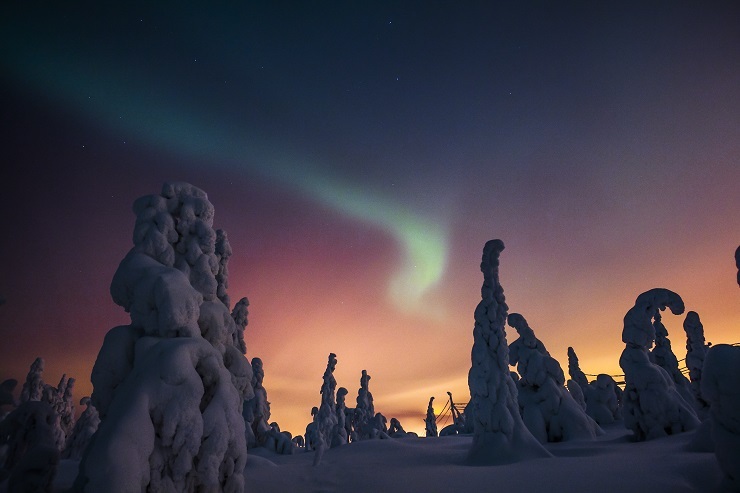 The Northern Lights are one of nature’s most spectacular phenomenons, and the Finnish Lapland is one of the best places on Earth to witness the magic for yourself. Every aurora show is different, a shifting dance of beautiful lights that many viewers find a memorable and uplifting experience. 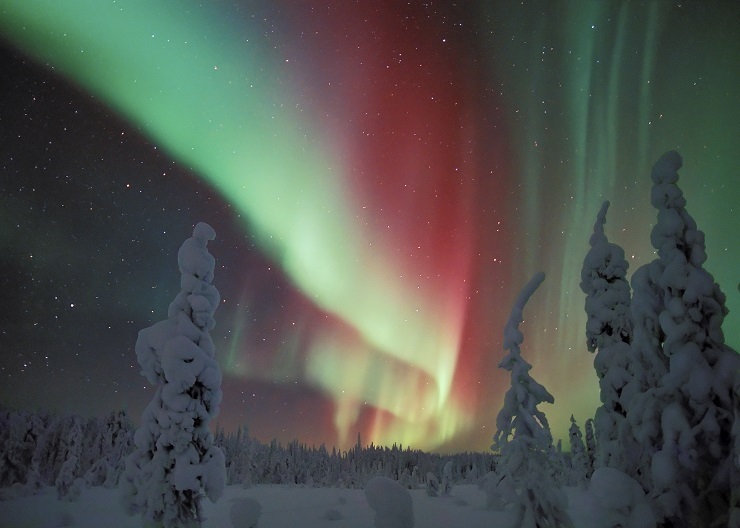 On average the Aurora Borealis are visible around 200 times a year in northern Finland, so there is plenty of opportunity to spot them on your next vacation.